For the past three years, I've had the incredible opportunity to live and work at a remote field camp in West Antarctica. 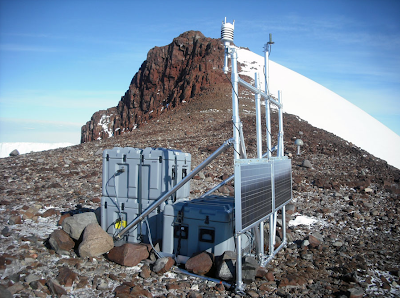 This field camp, WAIS Divide, is the site of an exciting ice-core drilling project. Each year that I've deployed, has been somewhat different, but all very memorable. During one season I had the unique experience of driving out on a short traverse about 50 miles from camp. I felt like a true Antarctic explorer when I stood on the ice sheet miles from any human being with the thought that no other human had ever stood on that spot. 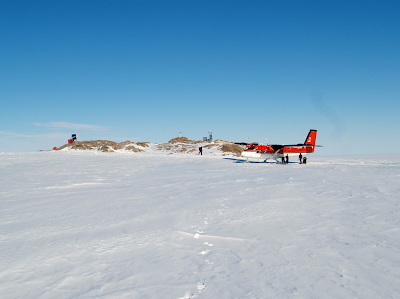 In 2009, I also had the unique experience of tagging along with the Penn State seismic team on a short traverse out of McMurdo up to Cape Royds. 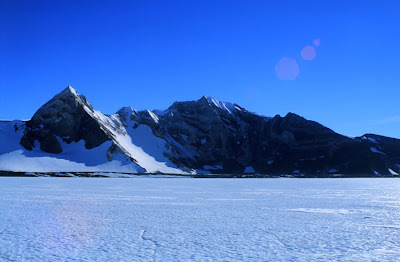 We passed by Scott's hut at Discovery Point, the calving front of Barne Glacier, and the penguin rookery near Cape Royds on our way to Shackleton's historic hut. This year, it looks like again, I have been presented with a very fortunate and exciting opportunity. On "traverse" of of WAIS Divide in 2010. For a fourth year, I will again be deploying to WAIS Divide to work a short 5 week season. 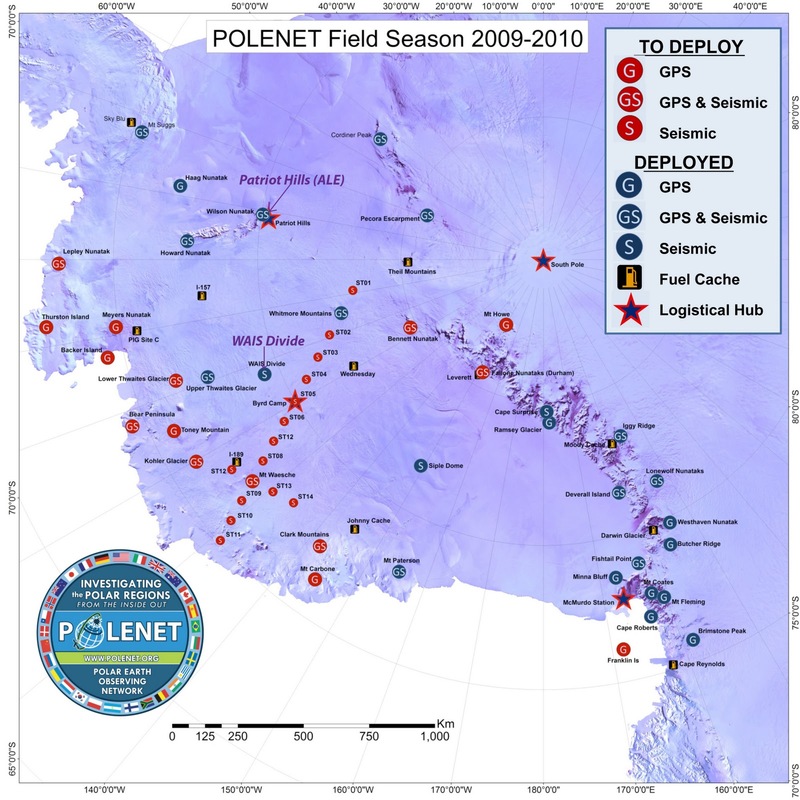 There will only be 3 science techs this year, as we are only expected to drill about 100-150 more meters of ice. I was very grateful and fortunate to be asked down for another season. I will be able to again work on my surface studies and deploy some solar sensors for my own PhD research, so I am very excited. 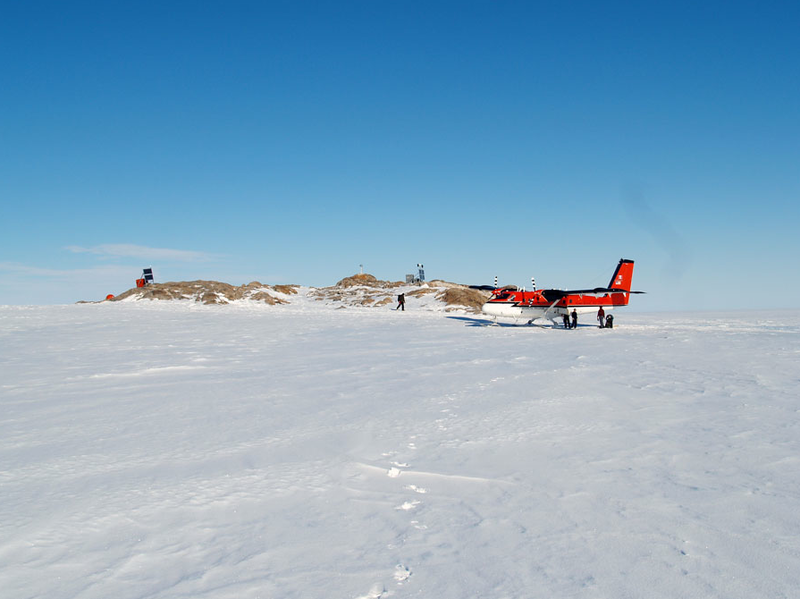 The WAIS Divide camp is a great place to work and live out of in Antarctica. The camp is always run very smoothly, and the people are incredible. Every year I come home with great stories and wonderful memories. 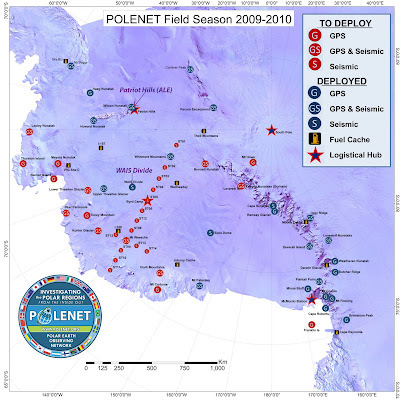 Because of the short season, I was not scheduled to deploy this season until mid December....and so was recently approached by one of the Polenet PIs, and asked if I'd like to participate in the Polenet project before my WAIS Deployment. I said, so let me get this straight..."I go down before WAIS Divide for a few weeks, I fly all around remote parts of West Antarctica in a Twin Otter deploying and servicing GPS and seismic stations, I will work out of Patriot Hills (a private camp that very few people ever get to go to), I get to see and work in the Ellsworth Mountains (home to Antarctica's highest peak: Vinson Massif) and at Union Glacier, I get to possibly put some of my old computer engineering skills to work, I get to work along side UNAVCO folks (a company/organization I have a lot of interest in), I get to dig snow-pits and study the surface all over West Antarctica, AND I still get to go to WAIS Divide after?" "DOH! I really,really want to..... BUT.... I don't want to be away for 3 months straight again, it's just too long to be away from home, and I have some commitments back home that I can't miss before I go to WAIS Divide. If only there was a way to split it up........*sigh*"
"You can come back home in-between deployments"
So long story short....and if all my paperwork goes through (which some of it is still pending), this will be the plan. I have already passed my physicals for WAIS anyway, so I don't have to do any of that, AND I've got all of my other paperwork submitted. Just waiting on the final "ok". If this does go as planned, I will certainly take LOTS of pictures and it will undoubtedly be another Antarctic season to remember! 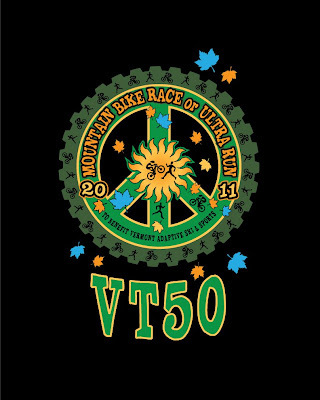 2011 Vermont 50 Race Report - A Truly "Perfect Race"
If I were asked what I thought my best race ever was, I would probably say this year's Leadville. I worked harder than I ever had during a race, and it paid off. I improved almost 4 hours on my 2009 time. So in this sense, my "best" race would be somewhat of a measure of how much grit, determination, and effort I put into it. If however, I were asked simply, which race went the most perfectly or which race did I achieve my best peak performance....I would say this year's Vermont 50. I ran almost the entire 50 miles. Seriously....I ran almost the entire course. Even most of the uphills. I never bonked, never got tired, never got sore. I felt great for the entire run and had NO discomfort, or nausea. I managed my hydration and salt intake perfectly despite the hot/humid weather. I implemented what ended up being a PERFECT nutrition strategy (will discuss in a bit). I crossed the finish line and could have kept right on running. I feel zero pain and soreness today....very weird (I'm always sore the day after). I didn't really start checking my watch until about mile 30, when I realized I was on PR pace. Sometime about mile 40, I realized that I was on pace to break 9 hours and so I started pushing a bit. When I got to the finish, I stopped my watch and gazed at it in disbelief. FINAL TIME: 8 hrs 42 minutes. Somehow, on a much more hilly course, on a much more hot/humid day, and in muddy conditions, I managed to beat my 50-mile PR by 40 minutes. I managed a 10:30 pace for the entire race. I still have a hard time wrapping my head around this. The added kicker, is that the course was actually closer to 51 miles with the reroutes...meaning I was actually closer to 8 hrs 30 minutes for 50. So, how the hell did I manage to do so well? What did I do differently? How could I improve 40 minutes on a time that I never thought I'd beat? Especially at a muddy race with so many hills and very high humidity. I think there were several factors that went into my great race yesterday. I do also think that some of it was just luck. We all have good days and bad days, and for whatever reason, all my stars were in alignment yesterday. I think the biggest controllable factors were my strong training and a strong nutrition plan during the race. During my Leadville race this year, I finally was able to identify when I actually am starting a dreaded bonk. There are always times in races when I feel "tired", but I came to realize, that these "tired" bits, were actually due to low sugar. Thankfully, at Leadville, my pacer began feeding me quickly to get me back in the game. For Vermont, I decided that rather than focusing on aid station nutrition, I would carry more on-the-go food, and limit my aid station visits to VERY short stops. My goal was to spend less than 30 seconds at each aid station just filling my water bottle, grabbing some chips, fruit, and PB&J wedges, and getting out. For nutrition, I decided to try a strategy of what I call "slow-intake". So instead of cramming down a gel every hour, or putting down shot blocks all at once, I kept a constant, and steady stream of sugars coming. Before the race I bought three packets of Powerbar Gummies. These worked great at Leadville and I decided to try them again. I also had two packets of shot-bloks, and several gels. Throughout the race, every fifteen minutes or so, I was eating a couple of gummies, or a shot-blok. I would hit down a gel here and there as well, but never ate too much at once. I wanted to caloric intake to be constant, and regular. I did grab some additional snacks at the aid stations later in the race, but still never spent more than 30 seconds at any one station. For salt, I used S-caps again, and took 1 every hour....religiously. I never had any nausea, or problems or obvious puffiness. My heart-rate stayed 150 bpm for the entire race. It never dropped very low, or peaked very high. I managed it exactly as I wanted. Truly....everything just "CLICKED" yesterday. Good hydration, good preparation, good salt monitoring, good trail, good people, and great fall colors. It truly was a "perfect race"
After the massive waves of mountain bikers all got on their way by 6:30 am, the runners lined up at the start for a 6:35 gun. 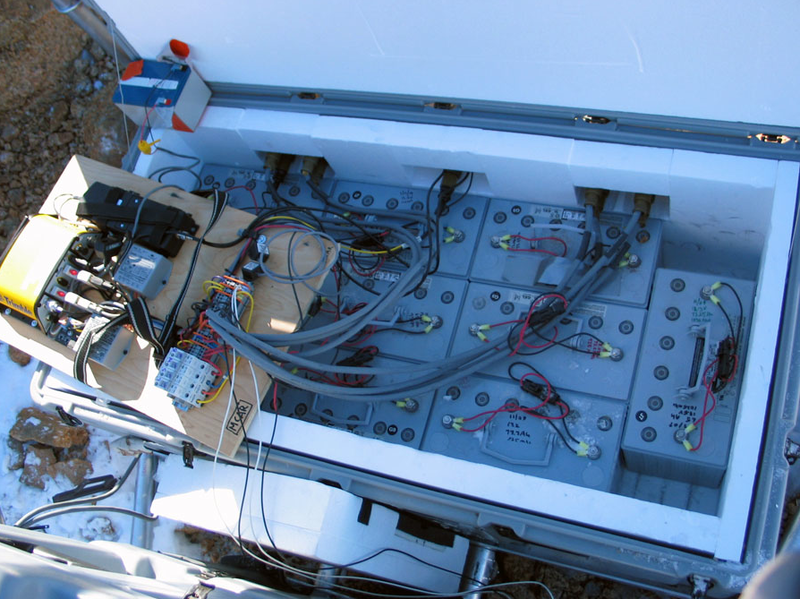 We were told that there were significant changes this year due to hurricane Irene. Most of these changes were in the first and last 10 miles. The middle part of the course, which has my absolute favorite single-track trail of any course, was to remain the same. A quick "3-2-1-GO!" and we were off too. I started out quick, but not fast. After a mile or so, I looked back and realized I was in the "lead group". Not good I thought. WAY too fast to be starting a 50-miler. Somewhere around mile 3, Dan Larson and Serena Wilcox passed me slowly and I thought, "Holy crappola, I am going way too fast and will definitely burn out". For those of you that don't know, both Dan and Serena placed in the top 10 overall at the Vermont 100, and Serena won it for the women. Both of them are way out of my league. I decided to tone it down a notch as my heart rate was starting to push 160 (way too high for a 50-miler). For several miles I tried to find a comfortable groove and watched as some people passed me and I passed others. I was worried the course would be super muddy, but most of the mud was manageable. I was having a hard time recognizing places along the course, and a lot of the aid stations were moved. At some point early, I started getting worked up a bit about where I was, how many miles between aid stations etc...and then I realized for a moment that I was no longer smiling. That's when my whole attitude changed. I took a deep breath, and told myself that I was there to have fun, and to stop fretting. Just enjoy the scenery, the people, and the beautiful course. So I did! From that point on, the race was fantastic. 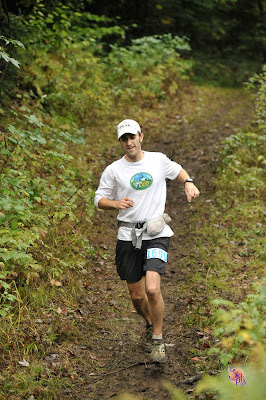 When I got to my favorite long section of the course around mile 30, I was practically giggling along the trail. The single-track from mile 30 to about mile 45 is some of the best I've ever run. It's incredibly serpentine, and winds its way all around through the beautiful woods of Vermont. It really doesn't get any better. It was during this section in 2008, that I became hooked on ultrarunning. Miles began ticking by faster and faster and I was simply amazed at how good I was still feeling. I had been running up-hill sections all day and was just waiting for the wheels to fall off. But, they never did. I was still running up-hill sections at mile 45. At around mile 40, I began to realize that I was not only on pace to break my 9:20 PR, but I was looking break 9 hours. I tried not to get too excited, but I starting doing a lot of math. I was trying to figure out how much I'd have to run, and how much I could walk to break 9. By the time I made it to the last aid station at mile 47, after having run nearly all 7 miles, I knew I was going to do it. I had almost 50 minutes to go 3 miles, so I could have literally walked all three outright. But, I figured I still fell good, why not see how far I can take this. I figured I'd begin to fall apart during the last bit, but I was still chugging away. When I hit the final mile on the Mt. Ascutney ski slope, I was nearly sprinting. I full-out ran this final bit, passing 5 people in the last half-mile down to the finish chute. When I finished, I could have kept right on running. Today, I sit here at my desk, and wouldn't even know that I ran 50 miles yesterday. My legs feel great. I just don't get it....but I'll take it. A big thank you to all of the amazing volunteers and race coordinators. You put together a spectacular race in spite of Irene's aftermath. Will all the hustle and bustle as of late with school and various other commitments, it's hard to believe that another ultrarun is yet upon me. 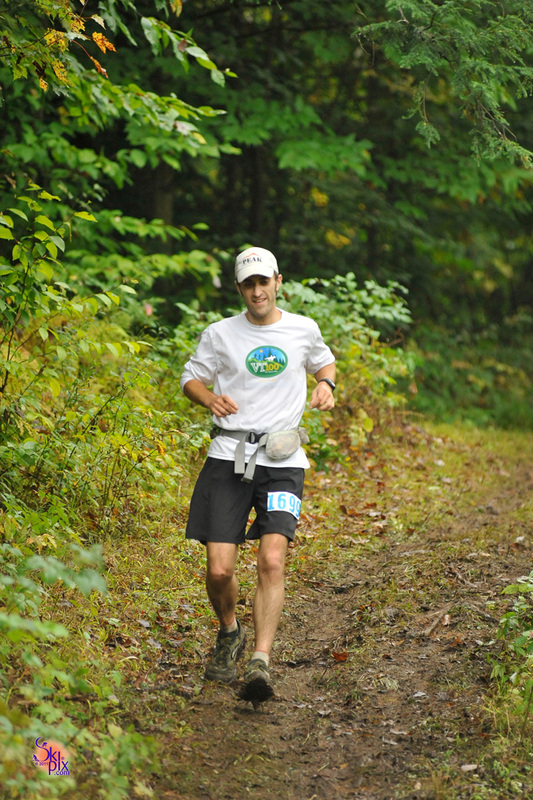 This Sunday I will participate in my 3rd Vermont 50 race. While I am super excited to be running what has been, and still is, my favorite ultra...I am also having some mixed feelings. First off, I have an important school conference in San Diego next week that I'm frantically trying to prepare data and a poster for. This has put running as rather low on my list of priorities. Also, knowing that Vermont was devastated by Hurricane Irene, and that the course had to be modified because of it, makes it feel a bit off. I feel terrible for the people and communities that were most affected, and will be bringing some food donations up with me (every little bit helps), but it's almost made me feel like I should stay away, so that the communities can rebuild in peace without be swarmed by crazy runners and bikers. Although, having so many supportive people come up can and should bring the spirits of the locals up a bit I would think. Like I said, it's just a weird year for the race. Also, for the first time this year, I don't really have a set goal for a race. I suppose if I had to set a time one, I would strive to beat my previous VT50 time of 10:37 and perhaps shoot to break 10 hours even. I know I can do it, as I broke 10 at Finger Lakes this year. Honestly though, I love this race so much, I really just want to go, and enjoy the beautiful colors, and wonderful people. So...my goal for this year's VT 50, my REAL goal, is simply to have a smile on for all 50 miles. 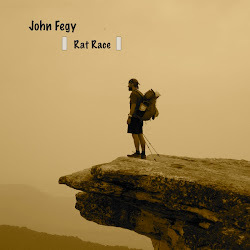 This was my very first 50-miler back in '08, and I want to have as much fun as I did back then. I'm sure it will be a wonderful muddy fiasco...but that's usually when I'm smiling the most! So...wish me luck and here we go! The Vermont 50: It's On! 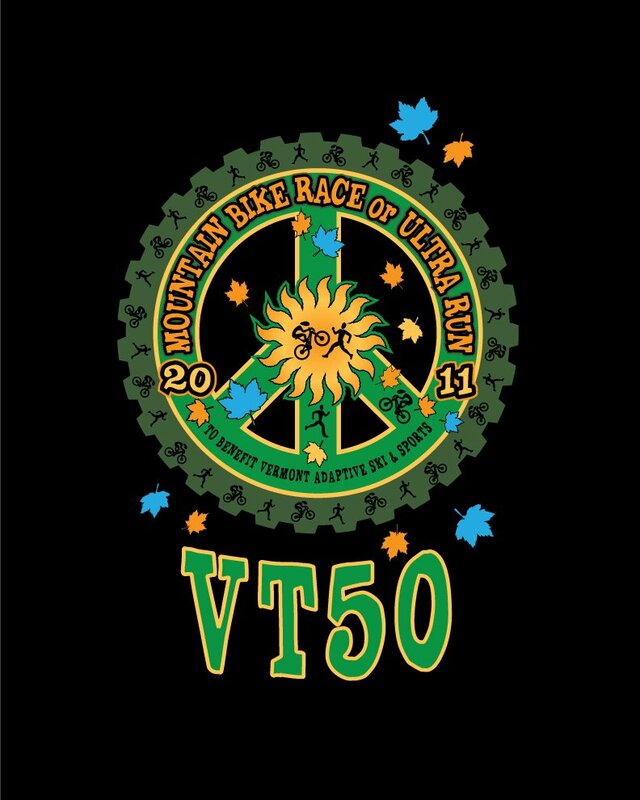 In light of the recent devastation brought on by Tropical Storm Irene, the event organizers for the Vermont 50 were still unsure about the feasibility of holding the annual VT 50 race. I just received word this morning that the race is in fact still on, and the hearty people of VT are working hard to clean up and make the course usable. In an email statement, they have said there will likely be a few reroutes and some additional jeep road sections in lieu of damaged single-track, however. This doesn't bother me one bit though. The VT50 is the race that started it all for me. It was my first, and still one of my favourite ultras. I will always have the softest of spots for it. I was genuinely sad last year when I wasn't able to run it (due to my PhD Candidacy exam). This year, I eagerly signed up in June, and have been anxiously waiting ever since. With the big summer of ultras over for me, and number 10 now in the bag, I'm looking forward to a fun, slower-paced, fall season of running. Nothing like running in the beautiful woods while the leaves are changing. How could you not want to run through this?